If a cavity develops, your tooth will require restorative dental care – there is no at-home remedy for this problem you can rely on. Restoring your tooth will involve the careful removal of damaged material, as well as treatment to address this loss of material. Based on the severity of decay, you will receive a dental filling, or a dental crown. Both serve to protect your tooth against infection, while also making sure it is strong enough to continue biting and chewing without issue. Because your dentist relies on modern dental materials, your smile will not be disrupted by the placement of a filling or crown. 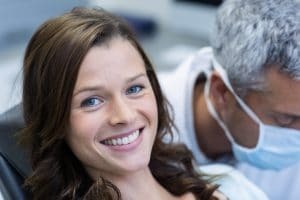 Can A Cavity Cause Long-Term Problems For My Tooth? If you wait to treat a cavity, you can suffer potentially serious complications. Over time, decay works its way to your pulp – accessing this area can lead to a painful infection of the tooth’s living tissue. Unfortunately, the damage done by a cavity is permanent. Once healthy material is destroyed by decay, it is not salvageable. By placing a restoration, your dentist will ensure that your tooth is still stable, and capable of biting and chewing. What can you do to keep your risk for tooth decay low? Take a look at your daily preventive dental care habits. If you are not diligent about brushing and flossing, you can allow plaque and tartar to form, and you can suffer decay. Make sure you take care to effectively brush and floss, and limit how much sugar you enjoy on a daily basis. These habits, along with regular dental checkups, will lead to a sharp drop in your risk for future cavities. At Peddicord Family Dentistry, our office is committed to making sure our patients have superior care when they need a cavity treatment. If you would like to schedule an appointment at Peddicord Family Dentistry, call our Ankeny, IA, dental office today at 515-963-3339. We also proudly provide a wide range of dental services to patients of all ages from Bondurant, Polk City, Elkhart, Alleman, Cambridge, and all surrounding areas.